 This week sees launch of Taking Control – a new joint campaign for further bailiff reform from the Money Advice Trust and our friends at AdviceUK, Christians Against Poverty, Citizens Advice, StepChange Debt Charity, The Children’s Society and Z2K. 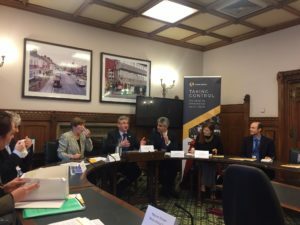 After an early stint on the Today programme – part of a welcome splash in the media including coverage on BBC News and in several national newspapers – I was pleased to help launch the Taking Control campaign at an event in the House of Commons yesterday afternoon, kindly hosted by Julian Knight MP. This is the first time in my memory that these seven charities have worked together in such a co-ordinated way on a public policy issue. All seven organisations see the impact that bailiff action continues to have on our clients, week in, week out – and I am delighted that we have been able to come together to call for the fundamental reform that people in debt need. Our charities have, of course, long raised concerns about the way that bailiffs collect debt. In recent years, some limited progress has been made, culminating in the 2014 ‘Taking Control of Goods’ reforms to bailiff law in England and Wales. We welcomed these changes – a welcome attempt by the Government to update and improve centuries-old legislation. These new, clearer regulations brought about, amongst other changes, greater transparency governing when bailiffs can enter premises and what goods they can and cannot take. However, as our Taking Control report shows, the 2014 reforms have had only minimal impact. People contacting debt advice charities continue to report widespread problems with the behaviour of bailiffs and bailiff firms. These include long-standing issues, such as bailiffs rejecting offers of payment, or even using threatening behaviour. The reforms have also led to new problems from a statutory fee structure that can incentivise poor practice. At the same time, the scale of bailiff use is both significant and growing. Last year, Citizens Advice helped people with 82,000 issues related to bailiff action in England and Wales – and we know that this is the tip of a much larger iceberg. Our Stop The Knock research has shown that local authorities – the largest users of bailiffs – passed 2.1 million debts to bailiffs in the space of just 12 months in 2014/15 – on increase of 16 percent on two years previously. These are not small numbers, and the scale of bailiff use across the country makes effective regulation even more crucial. We are now, of course, approaching three years to the day since the 2014 reforms came into effect. This is a key point at which the Ministry of Justice previously promised to review the impact of these changes, and we hope that our Taking Control report will form a useful contribution to this process. We believe that our recommendations – which include independent regulation of bailiffs, a single complaints mechanism and a restructuring of bailiff fees – can tackle the continued problems we are seeing with this industry. To that end, the chief executives of all seven organisations have this week written jointly to the Secretary of State for Justice, the Rt Hon Elizabeth Truss MP, to set out our case. The time has come for fundamental bailiff reform. I look forward to continuing to work together as a sector in the months ahead – along with our many other partners – to press for the changes people in debt need. Read ‘Taking Control: the need for fundamental bailiff reform’ here. The charities behind the Taking Control campaign have also launched a new website to collect further evidence on the experiences of people in debt with bailiff action since April 2014. For more information visit www.bailiffreform.org or search #bailiffreform on Twitter.